I will focus in the next posts more on these 2 topics from the most basic things that do not require any coding to the most advanced ones that require code changes and will significantly make your website stand out by being super fast and secure. In the past when I began developing websites, I was focusing more on the page loading speed and less on the security of a website. I just underestimated its importance. A fact is that it’s less likely your website will get hacked if its source code is private. With WordPress and other platforms that are open source, the situation is different. Once the code is accessible to everyone, you can expect serious security measures should be taken in order to stay safe. Due to its popularity (it accounts for ~18% of the self-hosted websites), WordPress presents a large target. After my websites and my clients’ ones got hacked several times, I’ve decided to do more research on WordPress optimization, improving the security of websites and web applications. There’s no point of having a super fast website that can be easily hacked and you end up losing sales. The same goes for the other way around. You have a very secured and monitored website but it’s so slow that visitors would drop off and search engines such as Google, might not rank you well in their search results, since your website doesn’t respond fast to web requests. I’m moving often WordPress websites from one host to another and I have to admit that I’m having a hard time (as many others have) transferring a large amount of data that is no longer needed anymore. I just like keeping things simple and clean everything that is useless for my site and can even cause security issues later on. 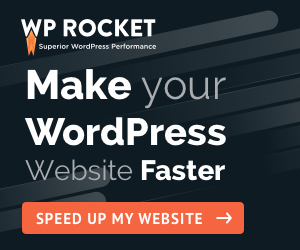 If you haven’t done any of these WordPress optimizations before, you will be surprised to see how much space you can save (over 70% in disk space and database saving is something usual). Besides the fact that it makes your website heavier, they can also have security issues and attackers might try to exploit the vulnerability of those themes/plugins by accessing directly unsecured files which are not protected against various attacks including, but not limited to MySQL injection, Directory Traversal, Executable Files Upload etc. Moreover, others websites can leech images and other files from your unused themes. I remember once that I deleted a theme that I wasn’t using anymore and after I later checked my 404 logs (a great way to see hacking attempts by the way) with Wordfence, I’ve noticed that some websites had unsuccessful image loading attempts on the images from that old theme (an error was returned and the 404 page shown up since the image did not exist anymore in the requested location). Had I left it like this, it would have continued to use my bandwidth and even make my server slower if those websites had lots of visits. A good way to prevent leeching is to set up your .htaccess to deny any remote access to your images and other files. Just make sure you do it properly in case you would want to access your files between domains that you own. I usually avoid this practice, but sometimes it can be effective. Do you need all of them? Personally, I do not need all the history of each draft saved. A maximum of 5 would do it in case I make a mistake when I’m doing an update and I need to restore the previously saved one. As I didn’t need more than a few most recent revisions for each post, I’ve decided to remove the older ones to make the MySQL database smaller and easier to backup. To my surprise, the unnecessary revisions, took half of the total size of the MySQL dump (yes, 50%). I managed to save ~100 MB worth of space. Doing the same for other WordPress websites, this added up to the space saved on the server and made the queries faster in execution as a result of having fewer records in the database. Before doing the optimization and revisions removal, you can consider making a database backup first, in case you might want, for any reason, to have the history of revisions in a SQL dump. This is useful if you used plugins that stored lots of data in the database (such as logs) and you just don’t need them anymore or you found a better plugin that has set up new tables. This way, you can save a lot of space. It’s recommended that you make a backup of your files and database before using any of these WordPress optimization techniques. Yes, it’s common senses, but it’s worth mentioning as people forget about this sometimes and if something goes wrong during any optimization process, you can rest assured that you can use your backups to restore everything. Thank you for reading this and looking forward to posting more content about WordPress optimization, security and page loading speed.